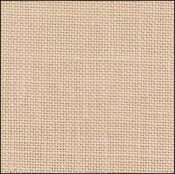 Antique Ivory Belfast Linen 32ct  - $65.90 : Yarn Tree, Your wholesale source for cross stitch supplies. Item 8681. Antique Ivory (233) Zweigart Belfast Linen. 100% linen, 55” wide, 32 stitch count. Very close in shade to DMC 842, but with a hint of very pale pink. (Zweigart 3609). 1 yard cut. Please order by Yarn Tree’s item number.